There is one kind of rug I never thought I would like. Kilims. And I want one. I've never been huge fan of oriental type rugs. Every time I see them in the store I shiver and move away quickly. I'm not sure what puts me off. Plush, flowery, traditional...the combination is too much. I like rugs in more modern colors and prints. 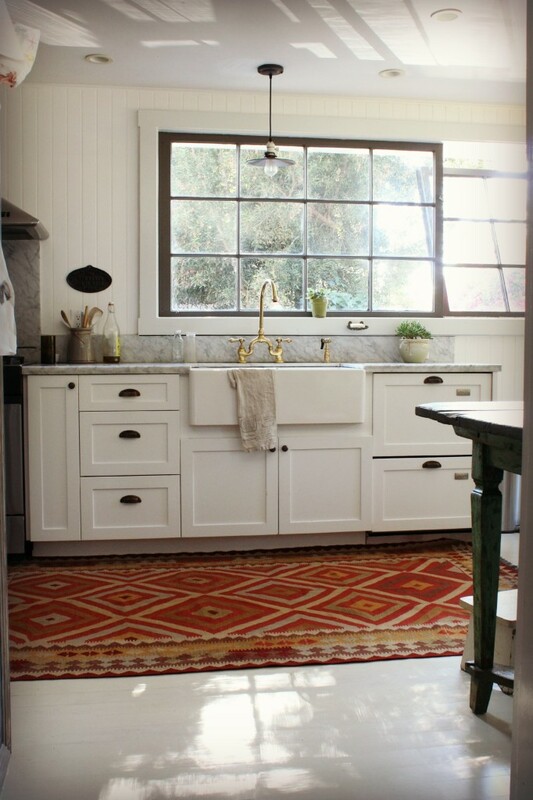 And here I am saying that I want a kilim rug in my kitchen. How is a kilim rug different? Basically, what makes a kilim is the style of weaving. Kilims work for me. They're not so flowery. They're more geometrical. They're flat weave, not plush. I mean, I like plush rugs and all, but not in those more traditional styles. And last, they are colorful. I, the neutral queen, want a colorful rug. I surprise myself sometimes. I discovered this while browsing through the pins on my kitchen board on Pinterest(if you're not following me already, here's the link to my Pinterest profile). It's one of the best ways I've found for narrowing down my style and what I love. One of the things(there were many!) that kept popping up, were flat weave, kilim rugs. Now if you're wondering how I decided that these particular pins with these particular rugs were actually my style and something I want in my house, I will tell you. I have a very simple method of evaluating my pins. I call it The Coffee Method. It's very simple. When I look at a picture, I ask myself, "Self, would you pick this room to sit down and relax in while drinking the very best cup of coffee you have ever had in your life?" Like this one that I found on Country Living. 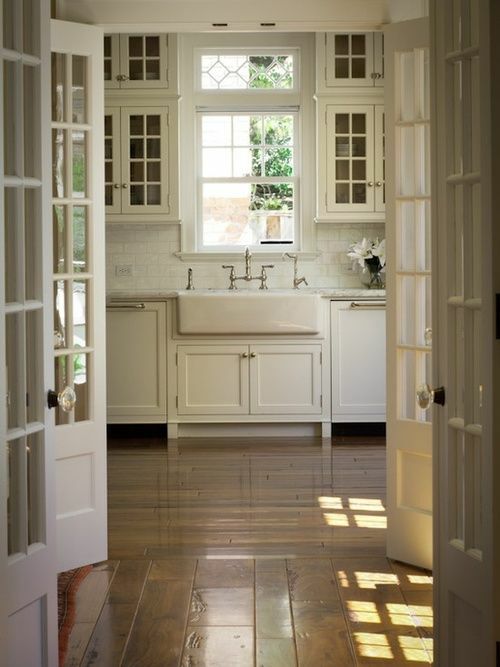 Gorgeous, though it lacks the marble countertops that I love. Those wood beams on the ceiling though! That would be gorgeous, right? 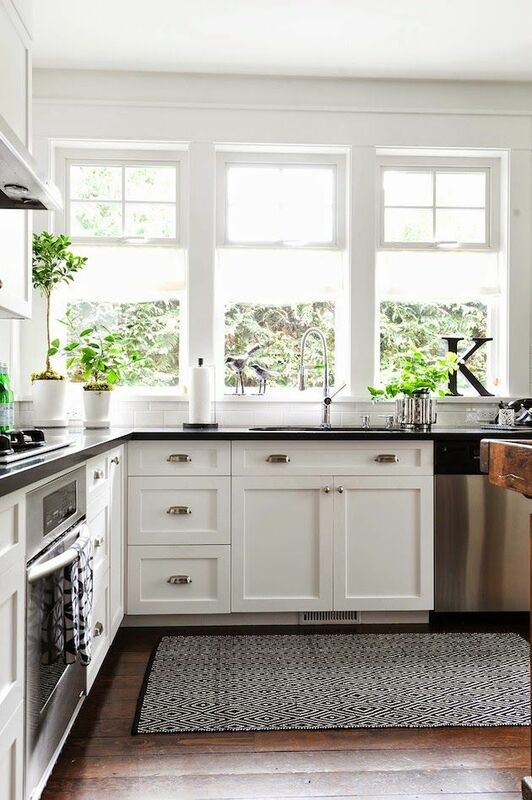 I love bright, old, farmhouse kitchens like this one from Design Chic(I couldn't find the direct link to this one so if anyone knows where the original came from I will link to it!). I think I've found my dream kitchen. Oh, and I'm loving this one too that I found at Savor Home(same thing with the link thing!). Alas, my actual kitchen looks nothing like any of these. I can dream though. Maybe I'll paint the cabinets and the counter, and then lay down a kilim. Someday. 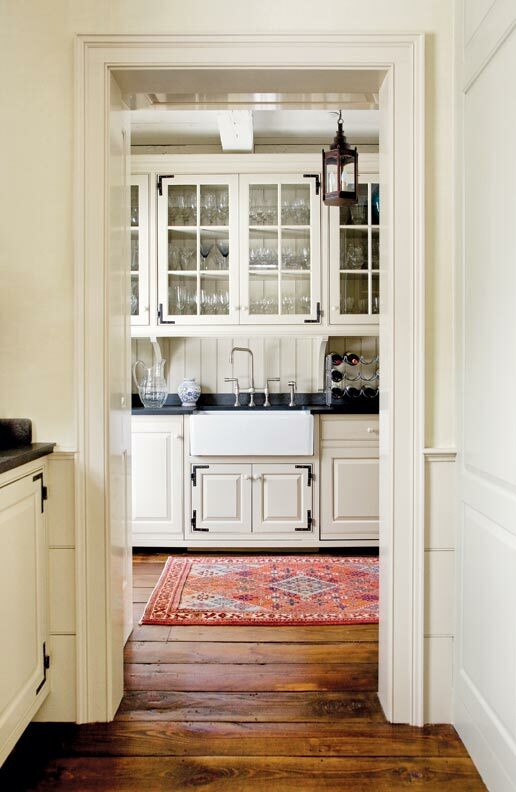 Which is your kitchen style and what rug style do you prefer? I love the casual farmhouse glam look myself, as you can see!